Most fiction authors write in the past tense. They tell readers what happened. This is as if the author says, “I see the events in my mind, and I’m writing about what I saw.” Very few fictional books are written in the present tense. One reason for this is that writing in the present tense provides serious challenges to the author: maintaining perspective, introducing prior events, and filtering the stream of consciousness. Below, we discuss these challenges and provide an example of present-tense writing done well. 1. Maintaining Perspective: Well-written scenes have only one perspective. As readers, our focus is on one character, and the scene is described through that character’s experiences. Usually, the focus will be on the protagonist. We perceive the scene through that character. However, that scene can be described again from another character’s experience. This is possible because the scene is written in the past tense. We already know that it has happened. When writing in the present tense, the events have an immediacy that makes this difficult. We read about what is happening at the moment, not about what already happened. This limits the author’s ability to show events from multiple perspectives because when the perspective shifts, the events already occurred. As such, when the perspective changes, the author continues to show what is now happening but through a different perspective. The author keeps the readers in the “now.” This can be a powerful tool for keeping the reader engaged in the story, but it is difficult to accomplish. 2. Introducing Prior Events: Events do happen prior to the current experience, and describing them in a present-tense story requires a shift to the past tense. However, the author may need to include those events to help the reader understand the present experience or to provide the motivation for a character’s actions and thoughts. This is difficult to accomplish. The author must make these time shifts smoothly, without losing the present-tense perspective and without making the reader wonder when the event is taking place. The author has to separate present and past tense without damaging the readers’ engagement in the present tense events. 3. Filtering the Stream of Consciousness: The human brain is always thinking, which means that the character on whom we are focused is having many thoughts. Some may be repetitions, some may be revisions of prior thoughts, and some may be off topic completely. Some will be new and relevant to the experience the character is having. The challenge to the author is identifying the thoughts that are relevant and necessary to the story without creating gaps in the character’s consciousness. Shifting between a description of thoughts to description of physical activities and environment will help, but as with introducing prior events, this can be difficult. While we are reading the character’s thoughts and feelings in the present tense, other actions and events are occurring. Thus, when the author “leaves the character’s mind” and returns to the “real world,” he cannot go back to describe what has happened in the meantime. So the second part of this challenge is to ensure that the reader doesn’t miss critical events. An Example of Present Tense Fiction: Robert Silverberg, winner of multiple Nebula and Hugo awards, uses the present tense very effectively in Starborne. This is the story of 50 people traveling across the universe through “nospace” to find a new planetary home. Obviously, it is science fiction. Science fiction may not be your preferred genre, but this novel is worth reading if you intend to write in the present tense and are unsure about how to do it well. Find it in a bookstore, sit in a chair, and read the first couple chapters, at least. Study how Silverberg resolves the three challenges noted above. Also, many of the comments below provide great examples of books in the present tense. We have a variety of editorial services for authors that will help you prepare your manuscript, but reading Starborne will give you a good start. Which Word Do I Use? Shame on you for enabling this sick trend by pretending it is ever ok to write fiction in the present tense. Writing fiction in the present tense is the reality television of literature– It’s an unfortunate trend that hasn’t gone away because there are people dumb enough to give it the time of day. I am trying my hand at fiction and want to write in the present tense. Your blog has helped me. thanks. Thankfully most people are not so closed minded, otherwise the world (and it’s literature) would be a boring thing indeed. Fiction Master: The most overdramatic and patheticaly pointless thing I have ever heard. Where did all of this come from? You are no Fiction Master, dear. I am an English professor of over twenty years with my specialty being creative writing. I am published many times, not best sellers rather popular sellers. I can write to this topic with certain expertise. Writing in present tense is most powerful and most entertaining. An active “right now” voice has a reader’s mind “living” events real time. A reader’s imagination is kicked into overdrive and races wild. Active present tense is the most exciting voice possible. My experience is most of those who object to present tense writing cite many reasons, none plausible, and they eventually allude to a fear of this challenge of writing in present tense; they are intimidated. A past tense voice writing style is simply too easy and is very attractive to lazy tongue writers. Virtually any moderately skilled writer can employ past tense with significant ease. Only the absolute best of writers can write in present tense with a smooth flowing style which has readers unable to lay down a story. This style, present tense, is an icon of literary talent. I only write in present tense with periodic transitions into past tense to create historical context as a backdrop or to set a contextual wrapping for current events. My readers find themselves feeling to be constantly clinging onto an edge of a very high cliff; what they read is a real life experience in their minds and in their imaginations. Past tense writing is too easy, is too old school and is much too boring for this writer whose native tongue is not English. It’s interesting to hear this idea of writing in the present tense, then shifting into the past tense for flashbacks. A bit like tinting up the sepia in a movie, I guess. In the novel I’m working on currently, the majority of the book is written in the past tense–but some very specific dreams, action scenes, and other very immediately present ‘happening right now’ events segue into the present tense. I think it’s a very powerful tool when used carefully. i find this intellectual discourse most helpful in editing a manuscript written in the present tense. i could make the right judgement after reading. of course, i have read so many but not in the present tense. I appreciate this article. I am currently attempting to write a story in present tense. The first chapter was hard, but after a while I have found it very easy. I just have to get into the mindset of the character and write what she would be thinking as the events unravel, while still making sure the plot line is easy to understand. I’m defiantly going to go to my library and find that book and read it, I think it will help. My friend is reading what I have so far, and she likes it a lot. Here’s an exert from the story. As a reader, I am very much “turned off” by present-tense fiction and will not read it–it just feels very unnatural to me. If my friend were telling me a story, she wouldn’t recount it in present tense, so using that tense in fiction actually makes me feel mire distanced from the storyteller. I guess it just seems like a painfully forced literary approach to me. I get that it can serve a creative purpose, but I find it far too distracting. I have trouble writing in the past tense, and I almost always end up switching if I try to use past tense, so this was a big help. Thanks a lot. THANK YOU SO MUCH! You don’t know how frustrating it is introducing material in various tenses, characters and dialogue and always find yourself confused! Thanks for stopping by and leaving a comment. I’m pleased that you found this article useful. You’re expressing a frustration that many authors experience. A strong knowledge of how verb tenses work, combined with a strong understanding of your plot timelines will help you work through any difficulties–resulting in a stronger story. Best of luck as you continue to write and edit your manuscript. When hearing the “pro-past tense” camp argue that the present tense has no place in fiction writing, I feel like I’m listening to an argument between two sci-fi fans over time travel…and I’ve heard it all before…maybe because I’m caught in a perpetual time travel loop that keeps replaying my past experiences…or I’m listening to an author tell a story, which clearly already happened, giving me the impression that I’m hearing it again. Confused? The same goes for arguing that the present tense has no place in fiction writing. It doesn’t matter whether you think it happened in the past, or the present. It really never happened at all, and only the author holds the key to why the tense was chosen. This is the heart of the matter, as I have experienced. I didn’t make any conscious effort to use the present tense in my first novel, but because the novel is told exclusively from the protagonists point of view, the present tense dominated within several pages. About fifty pages later, I re-read one of my favorite writing guide books, Stephen King’s, On Writing. At some point he discusses tense, and states that present tense is typically only suited for short stories. I didn’t remember much more than that, because I had closed the book and uttered a few profanities. I guess I had missed that the first time a read his book. I really didn’t want to dig back through fifty pages and shift the tense back to the past, but I did…or at least I fought my way through about five pages. It was miserable, and didn’t work for me. For my story, it became clear that the past tense was not the right choice, and that a single point of view, fast paced story was well suited for the present tense. Not that I haven’t received some critique. I can live with it, because the past tense failed to propel the story forward. As for my new novel? With multiple points of view, changing settings, and a much larger host of characters, I naturally tended to use past tense. I strayed back to present tense for action sequences (out of habit), but upon re-reading a few pages, it became clear that sticking to the present tense would not be a sustainable practice for the novel. I edited about fifteen pages to conform everything to the past tense, and at first it felt like I was writing in a foreign language, but after a few pages, it flowed naturally. I think the story chooses the tense, and not the writer. I think Master Fiction has trolled this comment section pretty hard, and succeeded wonderfully. So to you, Master Fiction (sweet name by the way), I tip my hat. Were it not for your inflammatory comment the more helpful and well reasoned responses of the other blog patrons may never have come to be. Seeing people rush so eagerly to the aid of the present tense is rather reaffirming for me. Now I can venture forth into the world of present tense fiction writing with confidence and zeal. Oh, Master Fiction, how can I thank you enough? May the senseless dribble you no doubt leak across the internet continue, inspiring passioned debate and intelligent discussion, forever. Thanks for posting this. My natural tendency is always to write in present tense. I’m not sure why. I have to usually go back and change things to past tense, but I think I’m going to give this one at least the first couple chapters in present and see how it goes. I’ll definitely write faster that way! Thanks for the list of example books too. If anyone knows of any other good ones, please keep the titles coming. I’m glad I thought to Google ‘writing fiction in present tense’ so I could have the pleasure of reading this thread. I’m working on my first novel which I’m writing in present tense because after years of writing screenplays, that’s the tense I’m used to using. However, as I’m discovering, using present tense in a novel presents a host of challenges I’m dealing with, paragraph by paragraph. I’m glad that you found this article to be useful. Good luck with your novel! Thank you for such a wonderful resource! Currently I am editing a translated novel for a close friend of mine. At first I felt I had jumped in way over my head (I´m a journalist by trade), his Spanish text was all in present tense and very “now”. I strongly believed my journalism skills would help me edit his book. Poor guy has paid for at least four editors, all who completely destroyed the beautifully written Spanish, trying to transform it into English. Not a single one managed to keep the action, much less did they manage to grasp and follow through with the present tense. The novel, called “The Castilian Rose”, is sure to be a blockbuster (in film and print), which adds a certain sense of apprehension to my editing skills. This morning I awoke, completely revised the first 50 pages, and frusturated with the results I prepared to confront the author about switching to past tense for the English version… Then I found this wonderful blog! Voila, I now have great examples to go on and am completely encouraged that I can make this important novel work, flow, and beat beautifully. Seriously, thank you. As a side note, I fully agree and love jacK´s comment about the “troll”, wonderfully crafted! Writing in the present tense is certainly not a trend. It’s been going on for some time. I personally don’t like it. It seems like an excuse for the writer to avoid thinking too much about the cause of the effect he or she is writing about (because that’s all present tense fiction can be). Fiction Master’s comments seem harsh, but the comparison to reality television is certainly an interesting one. I’ve also read articles where it was compared to handheld camera in cinema. An apt comparison as well. Because the “trend” has basically become an accepted practice, to call opponents of present tense fiction “narrow” or “close” minded is absurd. They’re just stating a preference. If someone orders a hamburger and not a cheeseburger, do you accuse them of being close minded as well? LOL! It’s all subjective, folks. I started my journey into writing from the forum based roleplay I used to participate in during my school years, for that reason I tend to stray towards present tense, but often find past tense fits better. I am currently wrting a real life travelling experience which actually happened twenty years ago. I have already drafted one book using the past tense. I am now starting the prequel (it was an afterthought) and feel compelled to write in the present tense! How on earth does that one work? I wrote a screenplay that I felt compelled to switch to manuscript format. It is my first major work. Only after it was complete and I spent many hours polishing did it occur to me that it is written in present tense and “everybody” else writes in past tense. I actually considered rewriting… I’m glad I found this site. I normally write in the present tense, because I was told to do so as a screenwriter. I’m not sure about writing novels in the present tense, because I don’t write novels. I think it is eaiser to write in the present tense if the POV is 3rd person objective (meanning you can only see what can be seen or heard, like the camera can only see and hear things). I had no idea writing fiction in the present tense was such a controversy! I recently published my first children’s book “PUNKIN: A Dog Gone Story” in the present tense. I thought it was the best way to write it, because the story is told from a dog’s perspective and animals do not know about past or future–they live in the present moment. I have found that adults enjoy my little story and some have said they didn’t want to put it down! Present tense is always what is used in writing action in a screenplay. I find that it forces the writer to show through action, not tell through long paragraphs. It forces the writer to have to think hard on how to display or say something. Many years ago I read ‘ A Smile in his Lifetime’ by Joseph Hansen. It was the first time I’d come across a novel written in the present tense and it blew my mind. When I came to write my second novel (the first was cremated – it was the kindest thing), I wanted to adopt the same method and create that same sense of immediacy. Now that I’m beginning the editing process I wonder if I’ve done the right thing. I’ve tried transposing the first chapter into the past tense, but it just doesn’t sound right. It’s definitely easier to write in past tense – in fact where I have included excerpts from my main character’s novel I just naturally wrote them in past tense and they were easier to write than the actual novel – but I still love the way it sounds in present tense. I’m sure that, as a novice writer, I tried to do too much, throw in too many tricks in an effort to make my manuscript stand out from the crowd, but the tense has become integral to the style of the piece and I think I must have the courage to stick with it now.Time will tell if I’ve managed to make it work. I’m familiar with a couple/few books written in present tense. When I was first introduced to this style, it threw me off (but not in a bad way, it just took a bit of transition); I’ve found that I rather like it because it *is* more engaging. I’m now considering changing the tense of my own current work to present. @Dalton: I have the same unsettled experience when first reading a book in the present tense, but, as you said, it just takes a few pages to make the mental transition. @Meilleur: I haven’t read those yet (am I the only person who hasn’t read The Hunger Games?). Thanks! @Jeree – Knowledge of your own weakeness is the sign of a conscientious writer. You have to know when enough is enough–and when you’re only adding “tricks.” Writing in the past tense is, in some ways, easier. I don’t recommend starting in past tense and then switching unless you have a very clear, defined reason for doing so, a reason that will also be obvious to the reader. I personally believe that there is a emotional connection that can be made in the present tense that can sometimes be left out in past tense. The exhaustion shes is feeling, fighting with every last breath, is one I can connect with- as she is fighting. Not empathize after the fact. Her fear becomes my fear, her anguish and her passion- all mine. By writing in present tense I would argue that you can lead your reader in to a feeling of suspense and implore them to feel more than they would normally in a more traditionally written style. Unfortunately as a present tense writer struggling with keeping everything in order, this blog post was not as helpful as I would have wanted it to be. It properly pointed out everything I’m having problems with, and gave almost no opinion on how to school myself in fixing those problems- other than tell me to read a book that pulled it off well enough. Does anyone have any tricks they found useful? Normally I just sit around at coffee shops and practice writing things as I see and feel them, but I’m running out of passion tea money. @ Bob Johnson — I will argue that an author writing in present tense would have to think about the cause of the effect much more than a past tense writer. For as a writer I am not merely giving you one persons side of a story, I have to make the WHOLE story make sense through ONE person’s eyes. Eventually the cause will have to come out in order for anything to make since, else-wise I am doing my reader a disservice.. There are many stories in which your observation is correct, so I won’t argue that it is altogether wrong, but I believe that if the writer is going to write in present tense that they should at least take into consideration the perspective of all of their characters, not only the current hero, and portray a story that can be seen in the depth of a past tense, while giving you the excitement and adventure of a well written present tense. I recommend writing the book first, then the synopsis. How can you possibly make a synopsis of the struggle if you haven’t got through writing it yet? I am writing a biography in my POV of my mother’s car accident and her life as a quadrapaligic, how it affected our family and what it took to survive a massive emotional and physical change of my world as a eight year old. How we grew as a family and how we forged a new path for ourselves. I can’t possibly equate even that horror to the pain and anguish of battling cancer, and to be a survivor as well! But I know how hard it is to write about pain, and how personal it can be. A synopsis is as personal as the words in the rest of the book, but in a way much more important, because in those few sentences you have to convey the heart and soul of- well, your heart and soul. Since that is the kind of book you are writing. I have every faith in you, and am excited to see it on the book shelf. The world needs to see cancer through the survivor’s eyes. Cancer touches us all, and those who survive are the real hero’s of our time. Thanks a lot for this article, and everyone who replied on it. I’ve really learned a lot here. I do have one question, though. I recently decided to try writing in the present tense, but right now, I feel like I’m just writing in past tense with present-tense verbs. Does that make sense? What I’m asking is, aside from the obvious use of present-tense conjugations, what is the technical difference between past and present tense writing? “The Juror,” by George Dawes Green, is another great present tense novel. I believe Demi Moore starred in the movie. I reread the novel recently and it blew me away. I’ve already started to change my novel to present tense. I think it’s marvelous. I just finished “In the Company of the Courtesan” by Sarah Dunant(recommended, but be prepared-it’s a bit crass in some places–not “steamy” but crass) – Another great novel in the present tense. I love the thought everyone is putting into this. I just completed my first novel, and I think this issue mirrors what I went through early on — after writing 80 pages in third person I decided the story called for first person (both in past tense.) It was painful to rewrite, but once I did everything flowed better. Moral: let the story dictate the voice. “It’s been five days since I found out they’re not human,” versus, “It had been five days since I found out they’re not human.” I think that one word (has vs. had) makes a big impact. Very interesting discussion. One thing no one has addressed is the following: writing historical fiction in the present tense. I subscribe to the view that the text influences the tense, to say nothing of personal style. But the seeming paradox (history told in the present) might be worth a ponder, if not a try. I know that Remarque wrote All Quiet in the present tense, but the type of historical fiction I have in mind has greater literary aspirations. For example, Henry James’ “The Ambassadors” or Edith Wharton’s “Age of Innocence”: famous stream-of-consciousness literature of the highest order, but how would either of these succeed in the present tense? Might Strether engage the reader more in “The Ambassadors” by appearing ‘presently, here and now’ as if to say “walk with me” – he walks a lot in that story! So what about a historical fiction written in high-literary style (think James and Wharton) about Napoleon written from his perspective in the present tense! Can one successfully write historical fiction that is at the same time literature and in the present tense and in the first person? Has it been done successfuly before? Is it a challenge, a barrier, a gamble, or might it just be the one style that has yet been mastered in literature? I would be grateful for any comments on this. Oh wow! Yes lon, I will take you up on this discussion! By the way, I love your writing! To begin, and to make myself clear I am all in on the writing now is a has yet to be mastered in literature side. However the point I’d like to make and may be diverting just a tiny bit off topic is the idea that there are thousands of blogs, websites, newspapers, etc. that are currently, what I would humbly call, masters at writing in present tense. So, could it simply be that we have followed a stream of consciousness long enough to have created this mastery of present tense writing. Can it get any more present than twitter? Than what we are sitting here doing now? @ION See my previous comment about “In the Company of the Courtesan” by Sarah Dunant. It’s historical fiction, though more fiction than history. Or you could write, “Five days ago I found out they weren’t human” which incidentally avoids the rather weak “it was/there is” construction with which both your suggested sentences begin. I enjoy the present tense enormously when it’s done well. However, badly executed present tense is much more painful to read than bad past tense, which is why I tend to avoid new books in the present tense unless they come highly recommended. I wish more writers would learn how to use the pluperfect properly. I had a question about using present tense; so I Googled “novel writing present tense” and this page came up second. Your debate and opinions answered my question. I love the Net. Thanks everyone. I’m writing a story at the moment that feels much more natural in the present tense. I had no idea I wasn’t supposed to until I searched for ‘fiction present tense’ and was presented with the kind of bile I usually see reserved for threads on religion or politics. A crisis of confidence, of course, followed. Now I have two versions of a first chapter, one past and one present tense, and am so confused I think I’ll just crack open the gin instead. Thanks for that, internet. Millie: If you think that the present tense feels more natural and makes your story more engaging than the past tense, then it may be the better choice for you. Writing in the present tense does offer some special challenges, but, when well done, it can be very effective. I didn’t even know his name. I have no doubt in my mind he did it just to spite me. I left the room and closed the door behind me. Would the above work? See, the inner thoughts/monologues of the story are in first person present tense, but the described “actions” of things happening are in past tense. Is this acceptable? This is how I prefer to write AND read fiction. Amber: I’ll give you my advice. Bob looked at his dog. “Gosh, I really like that dog,” he thought. …I had no doubt in my mind…. Amber: The problem is the back-and-forth shift from present to past tense. It’s difficult to know what is narration (i.e., the character telling the story) and what is inner dialogue (i.e., the character’s thoughts at the time). This is particularly problematic when you have thoughts and narration in the same sentence. This is also problematic because you don’t separate what the character was thinking at the time and what the narrator / character is thinking later about those past events. Remember, inner dialogue is not narration. You can describe what a character was thinking. If you don’t want to differentiate the narration from the inner dialogue, you might try putting the narration in present tense, which would relieve the confusion because, then, the thoughts and narration would both be in the present tense. Hmmm…Okay, so you are saying both the inner dialogue AND the action items (like….I closed the door.) should both be in present tense if I want the inner dialogue to be in present tense? I really appreciate all your help! I want the writing style to be “acceptable” but also enjoyable to the reader. This has been very helpful, I am writing a trilogy of novels simultaniously, and in present tense. I have had a few people read it and say it was distracting and that that I should switch it to past tense, I was beginning to think they may be right, until a friend of mine sent me the link to this site. Now I think I’ll keep it as it is, it’s far easier for me to write that way, I have done two pages in past tense and I just don’t like it, it’s boring and doesn’t suit the story. Thank you so much to whoever started this thread, it has been quite enlightening and quite helpful. Its odd that I started writing my newest book after a long break, and after writing the first Chapter I went back to read what I wrote, and realized I had wrote the whole thing in present tense, I looked up this article to see if I had to go back a re-write it or if I could just fly with it, and yes it is a more challenging way to write but when I re-read what I wrote it sounds great. And by the way Fiction Master, thank you for your input too, If people are offended, even a small percentage, by the the writing style or something else, than people are talking about it, thanks for the free publicity. I have been writing a series of novels in present tense, yet did not realise there was such a stigma attached with it until I received a bit of a stinging review. My story was praised, but the book was criticised simply for being in present tense. Personally, present tense just seems to work better for me; especially with the way the story is being told. I find it hard to deliver gripping twists and high drama in past tense. After all if it has already happened, then what is there to get excited about? 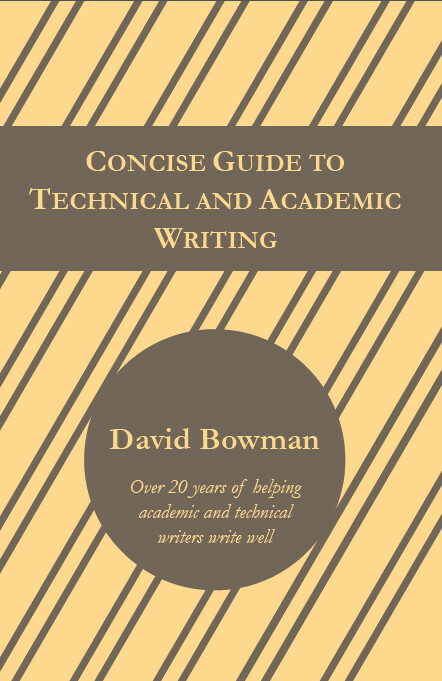 However stumbling across your article has at least reassured me that I am not doing anything ‘wrong’ by writing in the present tense, and I will keep these tips in mind to improve my writing style further. That’s my feeling, too, Mikey! Drama is much more exciting and heart-stopping if it’s happening in the present moment– not in the past, because if it’s in the past, it already happened and the urgency is lost. The past is more like a dream, but the present is more life-like and the urgency to “stop whatever’s happening” is more alive as it’s unfolding. The criticism of present tense in fiction today reminds me of Truman Capote saying Kerouac’s “On the Road” was not writing but merely typing. Capote and Updike and that older generation of established literary elites were not very fond of the Beat Generation and the new literary techniques they were using. Just as I’m sure Modernists like Hemingway and Faulkner and Joyce received harsh criticism from the older, established generation that turned up their noses at their extreme Modernist styles. The point is, the older generations tend to reject the younger generations when the younger generation rejects the status quo and experiments with something new. It has always been that way and it always will be. The good news is (for the younger generation, that is) that the younger generation ends up winning in the end and what was deemed a passing fad becomes the new norm. I see a lot of critics of present tense fiction blaming this “fad” on social networking and reality TV and magazines, but so what? Did the novel reach its final stage of evolution in the 1980s or something, after four hundred years of incessantly evolving with each new generation? No, the novel is always adapting to the needs and interests of the new generation, and it always will. The older generation just needs to accept that and acknowledge that the use of present tense in modern literature is the new generation’s contribution to the evolution of the novel and their attempt to redefine the novel to make it more relatable to their own generation. T.–Good comments. I would be interested in finding out whether the number of books written in the present tense is increasing annually. I wouldn’t know. I write in present tense because of Faulkner. I haven’t read many recent novels, and the ones I have read weren’t written in present tense. Thank you everyone, for participating in this discussion. It’s been great hearing from like-minded folks on this baffling topic. Like some of you, I too find the immediacy of present tense to be more exciting than the past. For 3.5 years, I’ve been working on a Sci-fi screenplay that I’ve recently been changing into a novel. I feel that my favoring present tense while writing prose has less to do with my previous work in screenplay format, and more to do with wanting to put the reader into the situation fully. I too got some harsh and redundant reactions (in my writers group) to present tense, and not the story, or other aspects of the style, nor because people were confused. Many just vehemently didn’t like it. I was told that it was “wrong for the genre,” which seemed utterly block-headed to me — having no idea that genres had strict grammatical rules. Instead of getting discouraged, I got curious. Does anyone have any other thoughts on why tense can push so many buttons in readers? I think the point about an older generation vrs. newer may have something to do with it, but not everything. FYI, I’m definitely a fan of Faulkner over “trendy” stuff like the Hunger Games. I’m writing on the present tense because the story demands it. The story started with the character experiencing a championship vibe after the final game. In that environment, I want the readers to see the victory based from the protagonist’s POV at present. This was made by injecting a lot of sensory details, as well as perception of the current scenario. I felt as if the story will go to waste if it suddenly shifts back to the past tense. The character has built up its identity and discussing its progression is inevitable. Thus, I approach the story once chapter at a time. Somehow it makes the work easy since chapter endings are flexible. Plus I do not seek to reach a pre-defined ending – it’s going to be heavily based on the writer’s flow as s/he progresses writing. One big challenge for me was mentioned in #3. I’m having problems trying to capture multiple occurrences within a timeframe. Normally I’m having dilemma on determining which event should have come first or have subsequently followed suit after an event. Great article overall! Will always go back here whenever I’m having problems over present tense writing. I mean, it should not have to be. I just recently let go of past tense and tried present tense wholeheartedly and was blown away by how much better it felt to me both while writing it and when reading my work after. Fantastic. It just flows more easily for me. I started out writing scripts and screenplays. When I switched over to writing short stories and working on my novel, I felt more at ease writing in the present tense. But having read quite a few books in my life, all were past tense. I began to worry that what I was writing wouldn’t be accepted or approved of. Thankfully for blogs like this, and other experienced writers, I know that present tense can be tricky, but if done right, can be just as acceptable (except for “Fiction Master” and his close-minded ilk). Writing in present tense comes easy for me, and all those who have read my stories have enjoyed them, without commenting on the stories being hard to read. But I will do research to ensure my present tense writing is the best I can make it. The problem isn’t with present tense, it’s when present tense is written in third person rather than first person. As an avid reader, I despise present tense. It feels unnatural. I don’t care if it’s it’s first or third person. I just can’t read it. I hate that it’s becoming a trend. And before anyone says I haven’t read a “good” book written in 1st person, I’ve tried all of those listed. Can’t get past page 1 or 2.